Pawan Kalyan’s Jana Sena has completed 3 years as it was launched on 14th March, 2014. Now Jana Sena has completed three years of its existence. On 10th March 2014, Pawan Kalyan submitted an application for registering the party name and launched the party at Hyderabad International Convention Centre, Madhapur on 14th March 2014. The party has been approved by the election commission on 11 December 2014 and will contest elections for the upcoming 2019 local body elections. In these three years, Pawan has spoken on various issues including Andhra Pradesh’s Special Category Status. 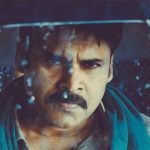 Pawan Kalyan is currently busy with both films and Jana Sena party activities. Check out the below video for more details.